PLEASE BE SURE TO REGISTER FOR THE CORRECT SCHOOL YEAR!!! 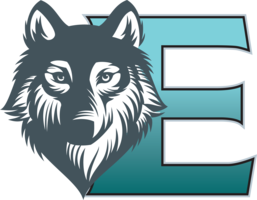 Below you will find a link button for new students to Eckville Elementary and Bright Futures Play Academy. For all returning students you will receive an email with a link for each of your current students. You will need to create an account when you click on the first link. If you have a second returning student, you will go back to your email and find the email for your second child, click the link and then simply login. If you have not received an email, please contact our school office and they will send you one. If you require assistance with the Online Registration please contact the office and we will provide you with a computer to assist you. Staff will be on hand to assist you with the online process. Age Requirement: Kindergarten Student must be 5 years of age by December 31, 2019 (Wolf Creek Public Schools Policy #300). Click the blue script and then click create account. For all returning students you will receive an email with a link for each of your current students. You will need to create an Info Snap account when you click on the first link. If you have a second returning student, you will go back to your email and find the email for your second child, click the link and then simply login to the account you just created. If you have not received an email, please contact our school office and they will send you one. THIS PROCESS HELPS KEEP DATA CURRENT AND REPLACES THE TRADITIONAL METHOD OF SENDING PROFILE SHEETS HOME. If you have any difficulty please call the office at 403-746-2297 and ask for Mrs. Stacy Opsahl.